Is there a better alternative to Time Logger? Is Time Logger really the best app in Project Management category? Will Time Logger work good on macOS 10.13.4? Time Logger is not just a new time reporter tool. It's the first step into your new work tracking experience. We have created a tool with a carefully designed user experience, based on the collected feedback from users who struggle with existing solutions. Time Logger needs a review. Be the first to review this app and get the discussion started! Time Logger needs a rating. Be the first to rate this app and get the discussion started! 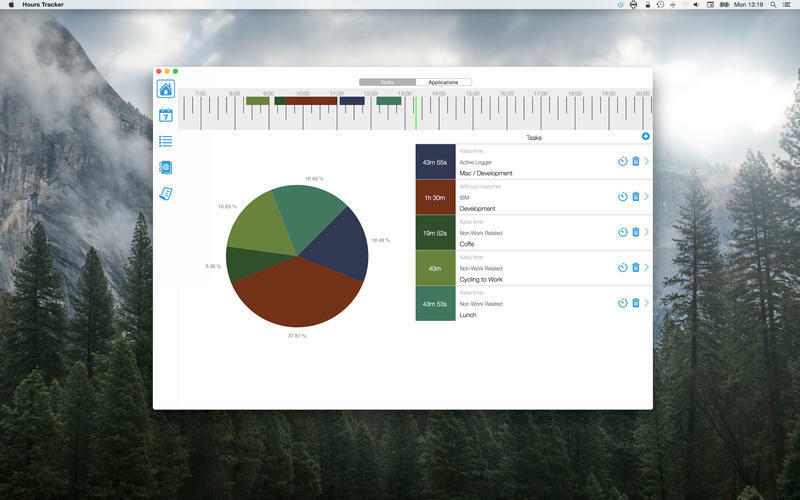 With Time Logger, you can track your time spent on different tasks and projects. It can also track your application usage in real time, so you can create detailed reports based on the recorded statistics. Since we are all humans, we make mistakes, so you have the possibility to edit or add your time afterwards with the help of the calendar or the timeline view.